KBS merged in 2018 with a sister agency within marketing services roll-up MDC Partners, and adopted that company's name, becoming Forsman & Bodenfors. The combined agency has offices in the US and Canada, Sweden - whence Forsman & Bodenfors originated - London, Singapore and Shanghai. It is the latest incarnation of the agency originally known as Kirshenbaum Bond & Partners. That company was one of the earliest acquisitions of MDC Partners in 2004. Former McCann NY president Lori Senecal joined the agency in 2009, adding her surname above the door to create Kirshenbaum Bond Senecal; original founders Richard Kirshenbaum and Jon Bond left not long afterwards, following their earn-outs from MDC. Senecal also eventually moved on, and the enlarged Forsman & Bodenfors is now led by former JWT CEO Guy Hayward. The main US agency serves as the hub for a small collection of satellite specialist agencies. Chief amongst these is US media strategy agency The Media Kitchen, which handles F&B's planning requirements in the US as well as third-party business. KBS took its first full steps into the UK in 2014 with a majority stake in local indie Albion, and also established an outpost in Shanghai. Both those outposts remain part of the wider F&B network. Advertising Age estimated revenues of $133m for KBS in 2017, including $97m in the US. A large chunk of that sum was generated by key client BMW; however that account departed the agency during the year, which may have been a deciding factor in the merger with Forsman & Bodenfors. Mike Densmore was appointed as CEO of F&B New York in 2019. Guy Hayward remains group CEO. Adbrands Weekly Update 20th Sep 2018: MDC is to merge its US-based agency KBS with Swedish creative hothouse Forsman & Bodenfors, acquired by the group in 2016. In an unexpected move, the combined unit will adopt the Forsman & Bodenfors name and the KBS brand will scrapped. Current KBS CEO Guy Hayward will continue to lead the merged network, with F&B's Anna Qvennerstedt as chairman. Following its acquisition by MDC, F&B was originally aligned with Crispin Porter & Bogusky, and the Swedish shop's CEO Erik Sollenberg eventually transferred to the US to lead the global CP&B network. Adbrands Social Media 1st May 2018: "Froklift". Always check check and check again your spelling when you submit your next job application! That's the invaluable life lesson from KBS's latest campaigns for Monster.com. It's a rule you should never forget. There are two campaigns so far (and more to come we'd wager) but this one is our particular favourite. Adbrands Weekly Update 4th Jan 2018: Ads of the Week: "Opportunity Roars". 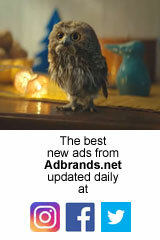 A new year inevitably prompts questions about new beginnings and here's a cute spot from KBS New York for Monster.com. Now, Monster is very definitely not the global force it once was, but KBS is doing its best to support its position, and this purple Kong-alike makes an endearing (if slightly - and also literally - faceless) brand mascot. Adbrands Weekly Update 16th Jun 2016: MDC Partners' KBS appointed its first global chief creative officer, in the shape of Patrick Scissons, who transfers from Grey Canada to work alongside global CEO Guy Hayward. Adbrands Weekly Update 29th Jan 2015: Several marketing agencies could be at risk from bad debts associated with the closure of retail giant Target's operations in the Canada. Target owes a combined total of $3.4bn in connection with that business, including huge sums to suppliers such as Procter & Gamble (almost $690k) and Unilever ($338k). There are hundreds of creditors in total, but the single biggest is media agency Carat, owed more than $9m in media buys, while MDC's KBS and 72andSunny are out of pocket for almost $850k between them. Recruitment advertising agency TMP Worldwide is owed more than $440k and marketing communications firm Veritas $305k. Creditors are unlikely to get full payment for their bills, and will have to settle for a substantial discount, if indeed there is anything left in the pot after liquidation.